I almost forgot about RCS! Keeping this for my future reference. This revision control system required minimum setup. What I need is just simply to have RCS installed. And you'll wondering where your file is. To keep your file "visible", add the -u switch. 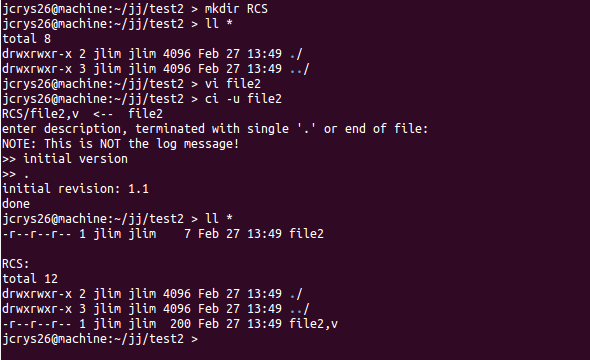 To make it more organized, create a RCS directory in your working directory, so the ,v file will be stored in RCS directory. 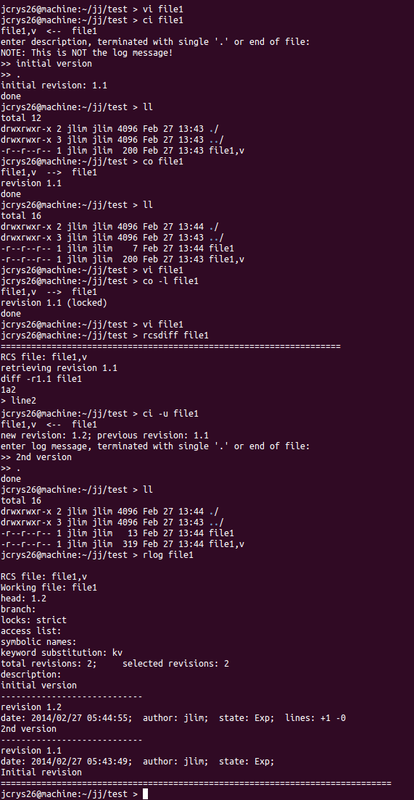 If you are using the ci without -u switch, you can use co command to checkout the file. Some screenshots for the above mentioned commands.